Have you ever been at a loss to write the perfect love letter for your spouse – the perfect sentiment when they need a laugh, a hug, or support after a bad day? We thought so! If you’ve spent any time on Pinterest, chances are you’ve seen pics of handmade “Open When…” Letters. (And if not, read on for the best way to write a love letter, ever!) Now, The Dating Divas have created the ultimate DONE-FOR-YOU Open When Letters Kit that will make your spouse feel like the only one in the world for you! 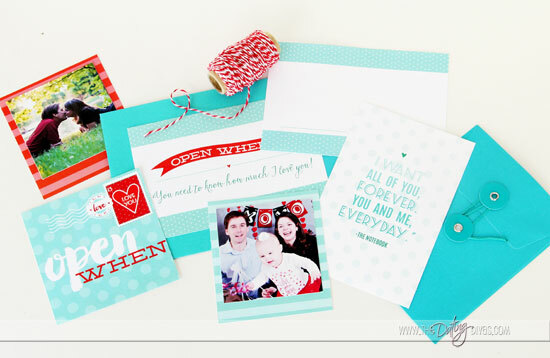 Just wait until you see the gorgeous open when letters patterns that Kiki, of Kiki & Company, created for The Dating Diva’s latest printable bundle the Open When Letters Kit. Expressing your love in letters is so much fun with her vibrant color palette and beautiful graphics! 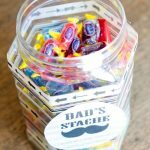 These open when letter ideas are sure to put a smile on your sweetheart’s face as he or she opens these 15 personalized Open When cards. They fit perfectly in these envelopes or you can even grab some colorful ones. 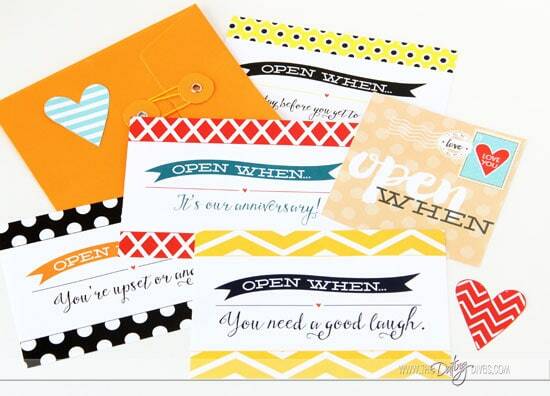 15 Envelope labels that announce “when” to open your fun DIY open when letters cards and romantic gifts. 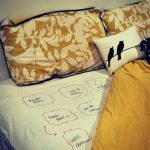 15 Cute coordinating love notes full of open when letter ideas to capture a message just for his or her eyes. Small printable gifts to shower your sweetie with love. Gorgeous embellishments to decorate a keepsake box for your love letters. 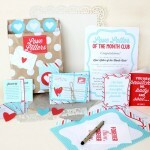 When you put this darling kit together, you will have a whole year’s worth of fun love notes and romantic gifts, ready for your favorite person! Let’s be honest, writing a love letter can be a downright daunting task! You want to give your love a meaningful and personalized card but maybe you aren’t sure exactly what to say OR perhaps you simply lack the time to put something creative together. That’s where The Dating Divas’ Open When Letters kit comes in. It’s the perfect balance of romance, fun, and cheer! 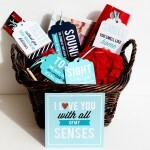 We’ve done the work of providing a writing prompt (based on a unique occasion) for each of the open when letter ideas AND a coordinating romantic gift that’s wrapped up in 1 complete beautiful printable bundle. OPEN WHEN… You Need to know how much you are loved! For this cute gift, Kiki designed a gorgeous quote card and 2 adorable polaroid frames for you to add your own photos. Pin this idea on Pinterest! OPEN WHEN… You want me! Satisfy your sweetie’s sweet tooth with chocolate kisses and this adorable love letter! OPEN WHEN… You need a good laugh! This cheerful gift for your husband includes an envelope template and 4 funny love notes. 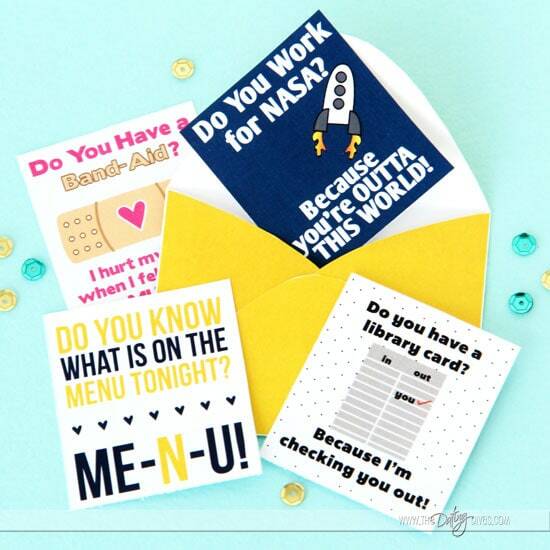 We bet your spouse will be grinning as he or she reads these cheesy but classic lines! In addition to those amazing printable love letters, we’ve also included cards and gift prompts for your spouse to open when they are feeling lonely, worried, happy, upset, or angry. Our Open When Letter Kit wouldn’t be complete without love notes for when insomnia strikes, or when your spouse wants to walk down memory lane. This particular love letter comes with a cheerful printable journaling page- you’ll love how Kiki created such a fun space to capture your love story! Anyone that’s been in a long distance relationship will love our “Open When… You Get to See Me Again!” love letter. All you need to do is attach chapstick to our darling gift tag for a sweet and practical welcome home gift! (wink, wink!) Our downloadable kit also contains ideas to surprise your sweetie with a special love letter on his or her birthday and your anniversary. 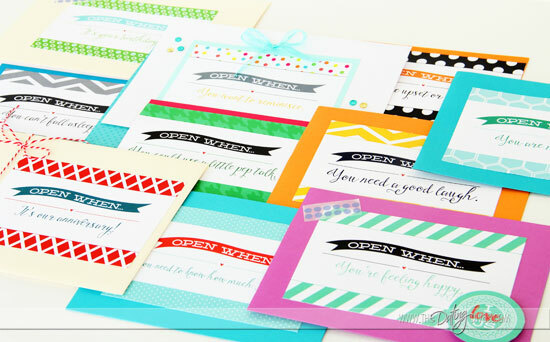 When you download the Open When Letters Kit, all you need to do is attach our labels to your envelopes of choice. Then, write out your heartfelt sentiments on the matching love note (remember, we’ve provided all of the open when letter ideas for you!). Before your envelope is sealed, follow our instructions to whip up a cute, coordinating gift. Finally, decorate a keepsake box using our embellishments to store all your Open When treasures. Can you imagine the look on your sweetie’s face as she or he receives this box of love? Are you ready to get started crafting the perfect collection of love letters and unique gifts? Save this idea on your Pinterest board! Printable Kit for Just $8.97! PLEASE NOTE: All Dating Divas products are delivered digitally, to the email address you specify. Nothing will be mailed to you. 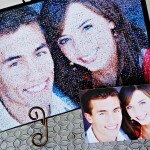 Our gorgeous graphics + Your heartfelt words + A cute romantic gift = 1 Happy Spouse! This darling kit is sure to be a top contender in the category of the best romantic gifts as it celebrates the special and ordinary moments of everyday life. We also think it’s hands down the PERFECT gift for those in long distance relationships looking to send their sweetie love across the miles. Cheers to surprising him or her with a box full of heartfelt love letters! If you love this idea, you might also check out our I LOVE US printable book. This journal contains everything you need to document your unique love story. It even contains a section for you to write out all the reasons you love your spouse! I gave this to my hubby for his birthday last year! He still has a few letters he hasn’t unopened which is fun! I loved how easy the kit was to put together and how thoughtful the outcome was! I seriously am in love with this!! Think someone can email my husband and ask him to give it to me? ?